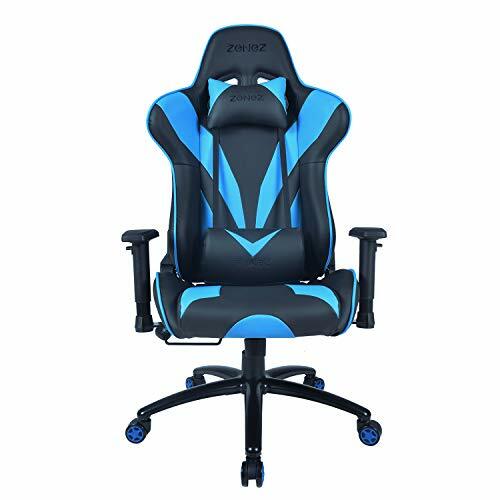 ★COMFORT:Lumbar cushion and footrest,soft headrest pillow,adjustable and wider armrest.Which provide extra comfort for gaming, working and studying. 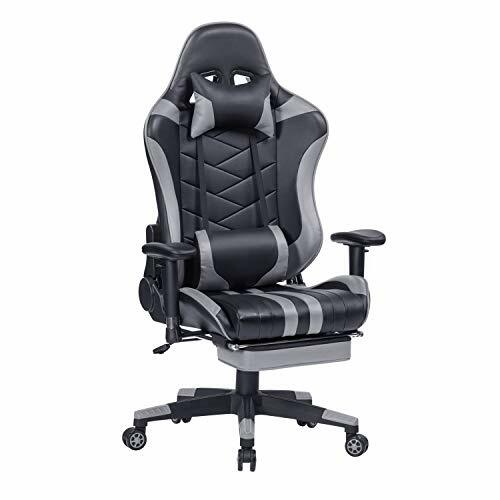 ★MULTI-FUNCTION:360 degree swivel and seat-height adjustment,90-155 degree backwards movement.Armrests can be turned up and down,right and left. ★MATERIAL:Integrated metal frame with high resilience sponge and premium PU leather (easily cleaned and fade resistant)for years of use. 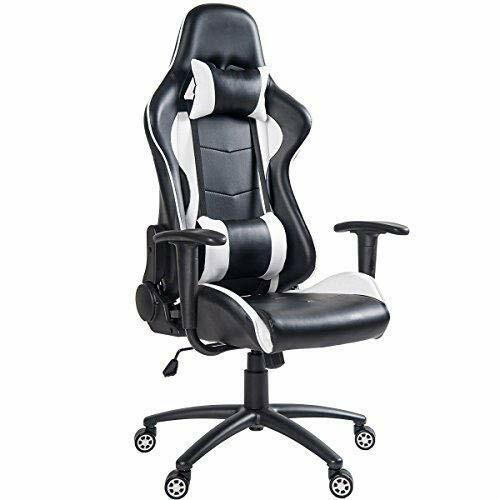 Heavy duty base with 5 smooth -rolling color PU caster wheels,ensures the chair can move smoothly in any direction and protects the floor from scraching. 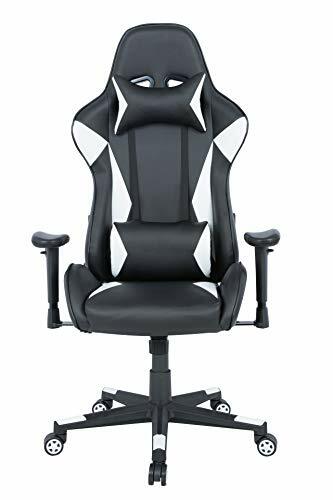 ★DIMESIONS & CAPACITY:Seat Area:16″(w)22″(D),Backrest Area:23″(W)x33″(H),Adjustable Height:3.15″.Maximum Load Capacity:350lbs. ★WARRANTY POLICY:Free replacement or parts guarantee for any quality problem within 60 days, Satisfaction guaranteed.Any problems with our products,please contact us for help and support.